There is nothing like having your stuff damaged or stolen during a move out. In times when nothing is certain and the market is full of fake companies, you only need an insurance to feel safe and secure about your stuff. In the same way that you have a health insurance coverage to guard your life , you should have a moving insurance to protect your belongings. We should admit that accidents happen and sometimes you cannot be sure whether you will get your belongings undamaged , and the way they were. Insurance policies play a vital role in protecting your belongings. This is why , you have to make sure that the company , which you will be paying to transport your valuable possessions , can offer you an insurance or at least moving valuations. You have to understand that there is a difference between these two types of protection, although they serve quite the same purpose. Besides , you have to know when which one applies. Generally, all removal firms are required by the government to offer coverage to customers, who are using their services. A commonly used coverage is the so called "released value protection'' , which is 60 cents per pound. Meaning that you will be compensated for everything at 60 cents per pound. However, most certainly your belongings weight more than 60 pounds. Because of this, most movers offer the so called full value protection , which is based on the valuation of the stuff being transported. If any of your belongings are damaged or lost, full value protection can cover them. The company can either repair them or pay the whole price. 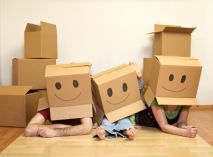 Depending on your needs and requirements you can use an expanded moving coverage. Some companies can offer you extended valuation. Declared value , for instance, allows you to set a per pound amount of your belongings. When you are choosing a company , make sure that they give you all coverage options, from which you can choose. Remember that , when using valuation coverage, the company cannot be held responsible for items which they did not pack. You are also not covered from damages caused by the so called ‘'natural disastrous'' like fire. In other words, moving valuations only cover those items damaged due to a negligence of company representatives. If you are not happy with the types of insurance a moving company can offer you , you can always use insurance coverage through your homeowner's policy. However, most of these insurance cover your stuff when in the house, not while moving them. There are also companies , which can offer you the so called ‘'relocation insurance''. The policies are similar to the declared value , which means that they cover only the items you have declared. Your last choice may be to get total loss coverage. This type of coverage applies , when your belongings have been totally lost. The coverage replaces the belongings in case of fire , theft or truck accident. Remember that , the coverage applies only in case of total loss of belongings. Since the insurance will serve as a protection for your stuff , you need to make sure that you understand each type and when it applies. You should also require the company to give you a written information , which clearly states what your responsibilities and rights are and what are company's liabilities.